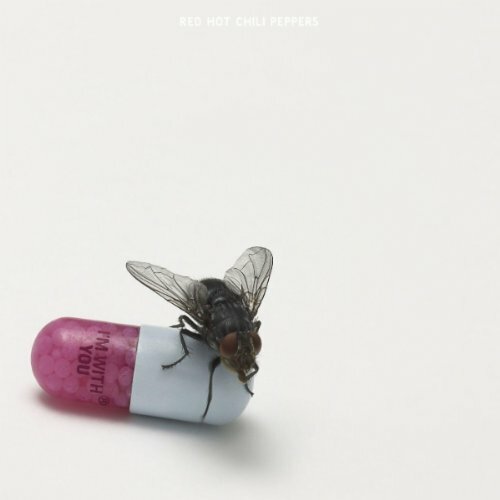 The more things change, the more they remain the same- this is the case with Red Hot Chili Peppers latest effort, I’m With You released in CD and digital format today. The album was produced by longtime Chili Peppers collaborator Rick Rubin and is the first album with departed guitarist John Frusciante’s replacement, Josh Klinghoffer. The Peppers took a bit of a hiatus for a multitude of reasons between the abysmal Stadium Arcadium and I’m With You and it appears the break brought the Peppers back down to earth- well, as much as these guys can be brought to earth. The Peppers have said this album is the most liquid and poetic thing they’ve put out and the addition of Klinghoffer was an injection of not only new blood but a new direction and positive feeling. Flea and Klinghoffer also wrote songs on piano as well as infusing some of the African sounds the band as a whole loves so much. Flea says they’ve dabbled with that aesthetic before but he feels this time with Josh they truly nailed it. The album kicks off with “Monarchy Of Roses” and has the voice distortion, megaphone, AutoTune effect that’s just been too overdone for my tastes. The song doesn’t go anywhere special, although once that annoying effect is removed the vocals sound great and there’s a nice little tribal, drum interlude I’m a fan of. “Factory of Faith” starts off strong and funky, bringing lead singer Anthony Kiedis’ unmistakable rap/sing delivery back to the forefront. Even with this infusion of funk and rapping, it’s still a very mellow song and coupled with the previous song, it’s an underwhelming way to begin your first studio release in five years. “Brendan’s Death Song” is the first song with any substance. As the title implies, it deals with death but also saying goodbye and the legacy we leave. At nearly 6 minutes, it’s the longest track on the album and while it sounded great and I hear maturity in their musicality, it was about two minutes too long. “Ethiopia” starts with “E I O I E I A” and doesn’t make a lot of sense from there on out but it’s a compelling song that will get stuck in your head all day. It’s comforting like a warm blanket and I’m not really sure why. “Annie Wants A Baby” is next in line, and I suspect it’s supposed to evoke strong maternal instincts in me but it doesn’t; the premise is as silly as its title. hit the road because we just keep cruisin'. There's a lot more rapping and choppy delivery and it’s a fun song but I’m left wondering if 50-years old is about the cutoff for white guys rapping. Skipping my beloved “Rain Dance Maggie” because I’ve covered that pretty extensively, “Did I let You Know” is a song I tried to love but couldn't because I was too confused to fall in love. I heard fiesta horns mixed in with classic rock riffs and it was too weird for me to fully commit. ”I saw you at the police station and it breaks my heart to say. Your eyes had wandered off to something distant, cold and grey. The next two songs follow the path of the previous songs, building momentum for a purpose. The sequencing is pretty great and exactly what you’d hope for. The individual songs tell a story, but it’s a complete journey when placed alongside each other this way. “Dance, Dance, Dance” is the 14th and final song on the set and it is dancey, with fabulous drum beats that sound like a storm is rolling in or rolling out; it's hard to tell. It’s the best ending to this experiment the Red Hot Chili Peppers pulled us into with them. I’m With You is their smoothest, most polished record to date, and our Peppers have definitely grown up. I’m just not sure we wanted them to.